Wow that is one beautiful looking helmet you got there David! Pryor's work is fantastic. Here is my turn-of-the-16th Mamluk Chichak. .
Bennison, that is really nice, your armorer did really fine work. You and me should try to get together and put a dent in each others helms. 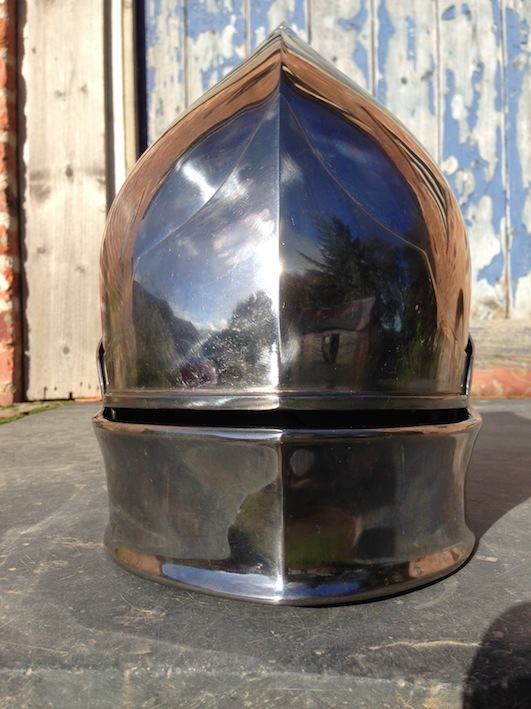 I really like the sallets so much, but this one is just excellent - perfect in its lines. Can you tell us some more about the helmet, David? It looks very impressive. 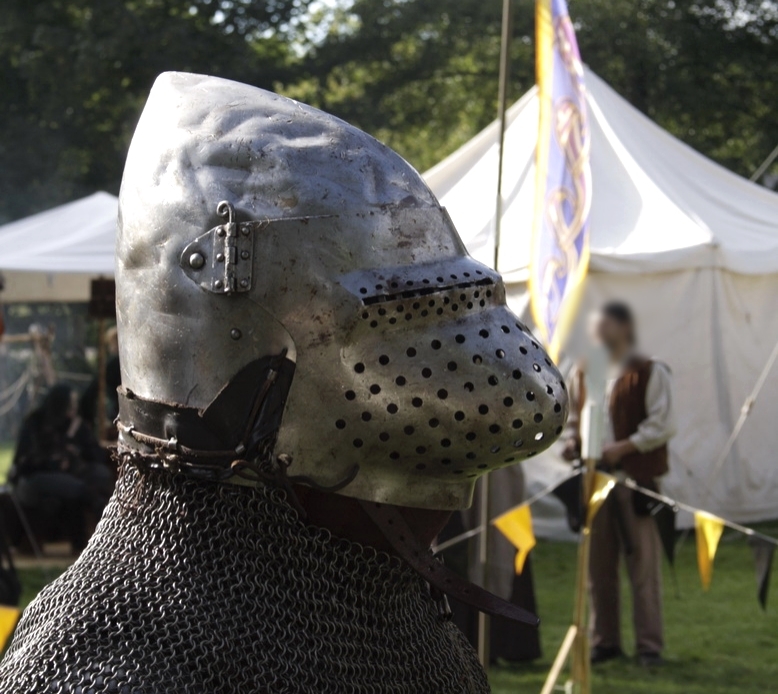 Unfortunately I don't know much about the style of helmet (if, indeed, it is a historic style) so can you tell us a bit about what inspired it, what it will go with etc.? I had a look at Pryor's website: it looks like he has made a set of three helms in that style though each unique and magnificent, fit for a Norse god! 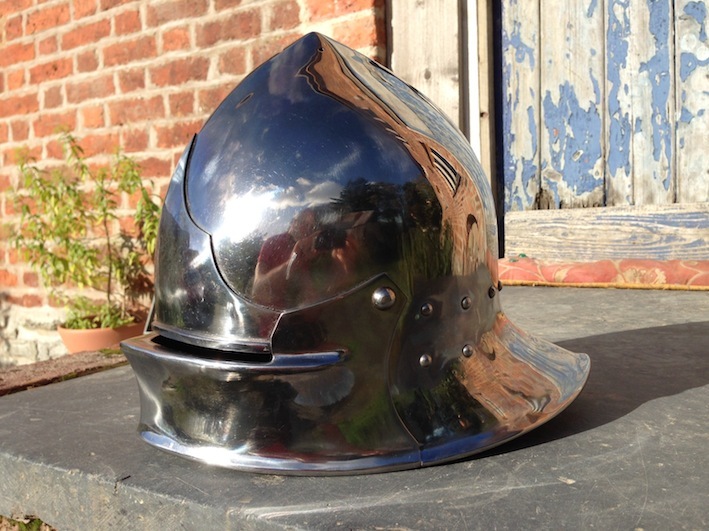 And Bennison, you also have an excellent looking helmet, very menacing yet also elegant. It strikes me as somewhat reminiscent of the Polish hussar helmet, yet more eastern; very appealing. Does Mr Edward Shayhutdinov have a website? Can you tell us some more about the helmet, David? 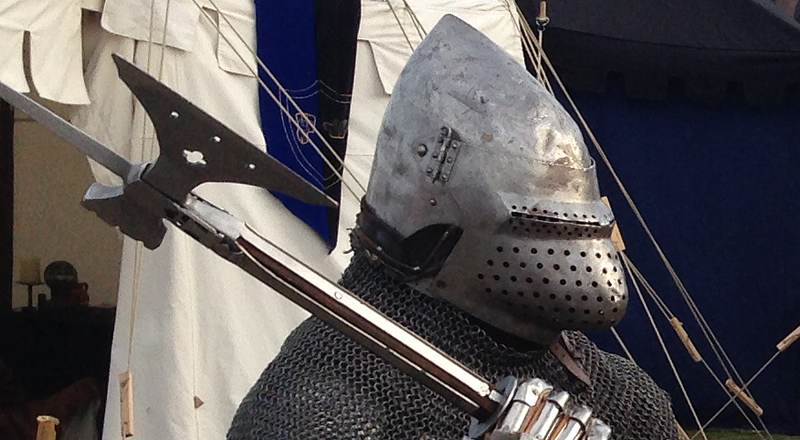 The helm is based in early Norse and Scandinavian helms but the face is not historical. There are helms like the Sutton Hoo that have full 'faces' but the face on mine is not that style. 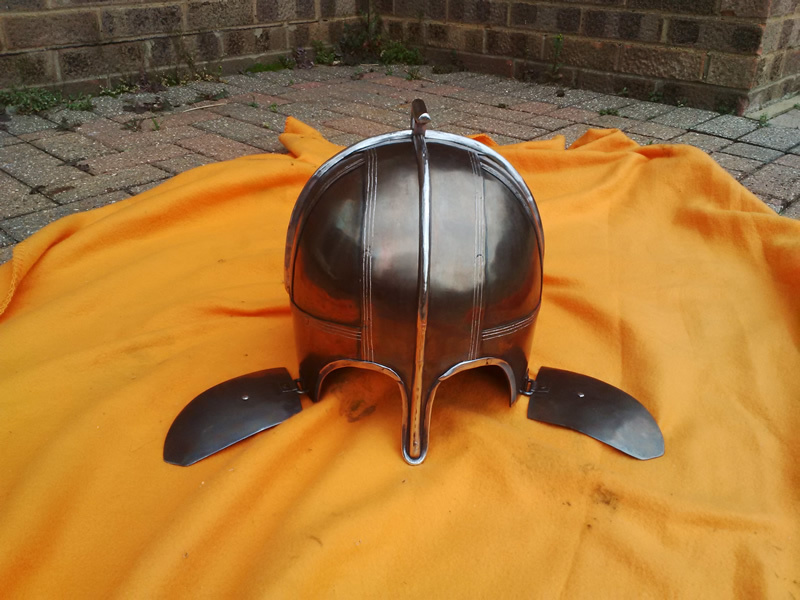 There are some late medieval and renaissance helms that are chased as this one is but those would be 800 to 900 after the the foundation model for this helm. the face was necessary for use in free style sparing, I wanted something out of the ordinary rather than normal bar grill. I will tell you that Douglas is a pleasure to work with, and I can not recommend him highly enough. but this one is just excellent - perfect in its lines. I really like yours as well, mate. He has a Facebook page, and he has excellent English. He also takes orders through the "Faris Reenactment Basar" Facebook page. He makes insanely tough gear... My sparring bazubands and mittens are also made by him. Thanks mate! I knew it would be a good one! I'm glad it brings that style to mind... Because the Mamluk and Ottoman Chichaks were the ancestors to the Hussar and Zishagge helmets. Wait until you guys see my competition armour... It is going to be made by a very skilled fellow myArmoury.com forumite, actually. 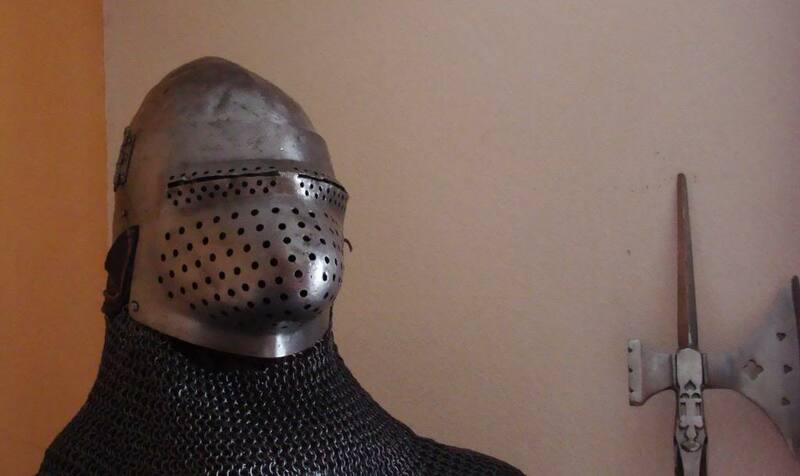 * Great helm, made with patterns from ArmourArchive. 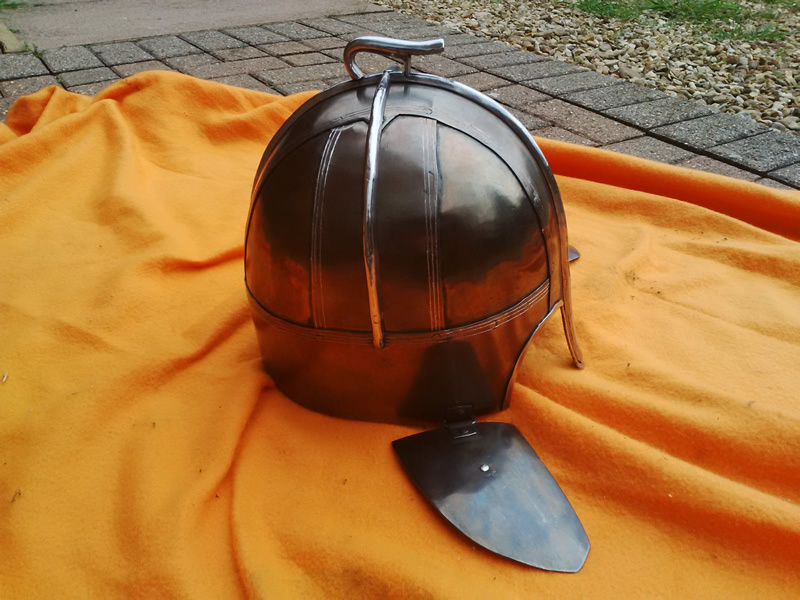 I know it's just an ugly metal bucket, but this is one of my most beloved type of helmets. Why it's hard to say, but I've always considered it as one of the symbols of the knighthood. ** Replica of so called "Asenovgrad Castle" helmet - one of a few fully preserved helmets, found in Bulgaria (dated middle of 14th C). This was made only by black-and-white pictures and description of the original, well before I was able to see the artifact with my own eyes. I plan to make a new one, as closer as possible to the original. This is the helmet I use most often during the events.And respectively it bears a lot of marks and dents from the close encounters. *** This should be a spangenhelm, but it's quite away as a construction, although has some resemblance in the over-all outlook. For XVI and XV cent. And waiting for the new one. Boris Bedrosov, nice nice, this Assenova helmet have too much rivets, right? I have similar helmet (almost twin brother) from Dobrich. Yes, Patrick, they are indeed too many. My new Wollaston (Pioneer) Helmet, mid 7th C, Nene Valley, Northamptonshire. 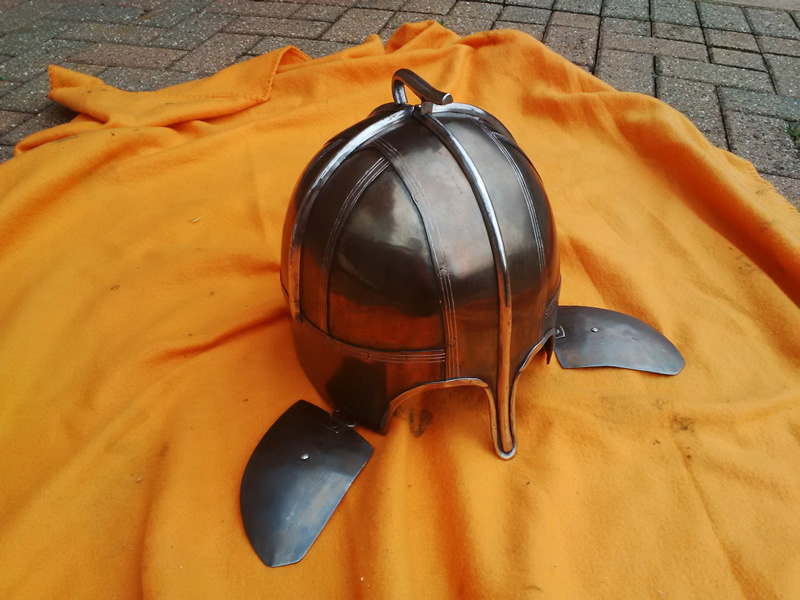 This replica has been made to the same dimensions as the original by armourer Adam Rudling, it appears large but when it is on the size and shape make perfect sense. grim guðplega, ær we gofol syllon! 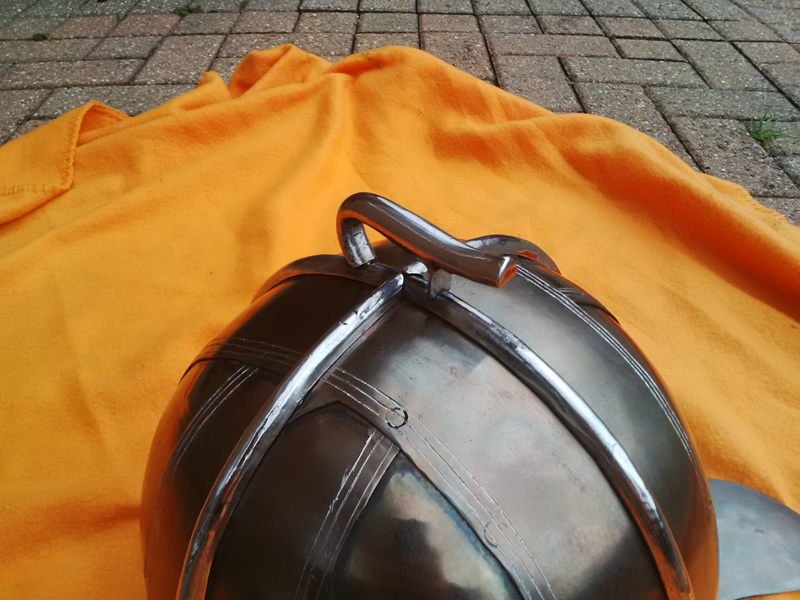 I figured I should finally give my good old bascinet it's well deserved post of glory. It's 2mm thick, not HT'd, and still serves me well to this day. 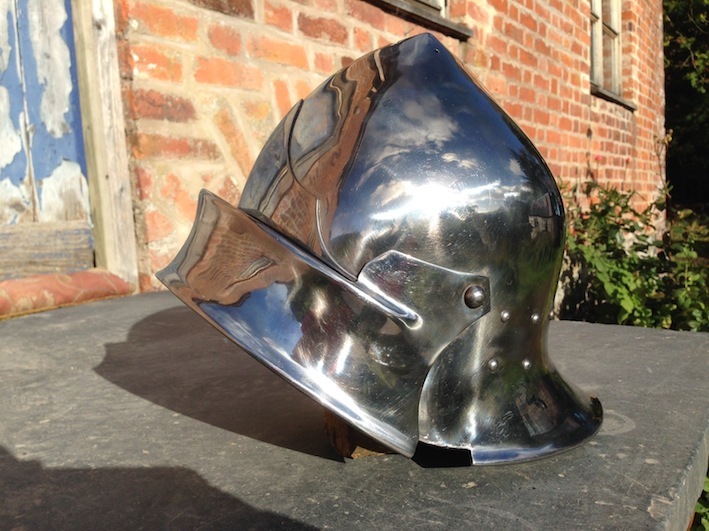 Even with two new helmets in production, this bascinet will always keep a special place in my heart. Mario, I love it! I'm sure you'll keep it always.